Founded in 2009, GBAT Technologies Inc (aka Green Building Audio Tours) is a locative media company focused on recording and publishing, via web, podcast and mobile, the audio stories of the greenest buildings. Revenue from this business supports the ongoing development of the Open Green Building Society’s Green Building Brain project. 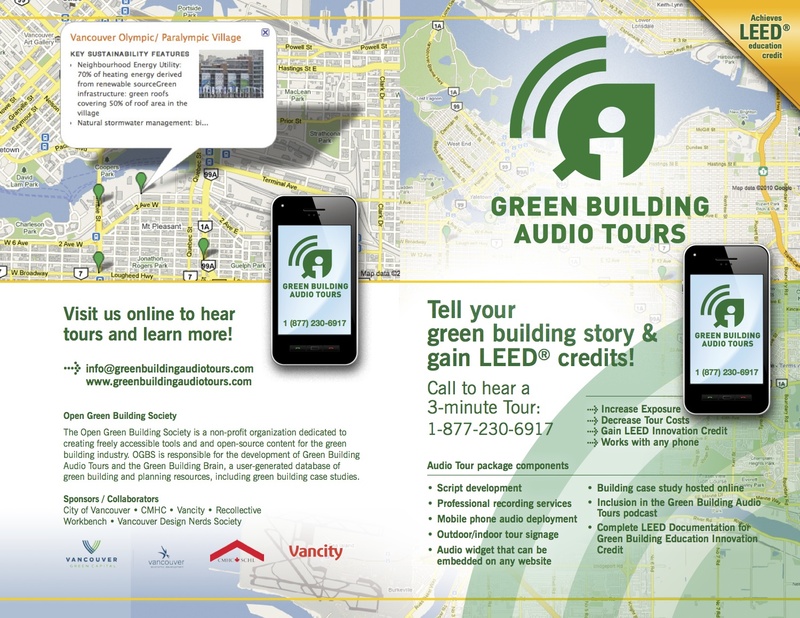 The Green Building Audio Tours project aims to record and publish, via web podcast and phone dial-in, the audio stories of the greenest buildings in North America. 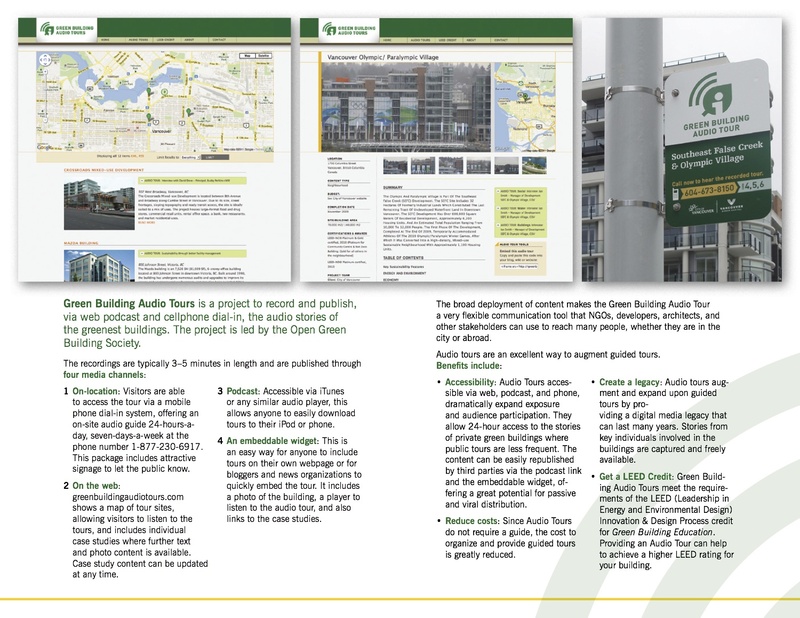 This audio content supplements the existing case studies in the Green Building Brain. Visit the building location and call in on your phone to enjoy an on-site audio guide 24 hours-a-day, seven days-a-week, or browse our audio guides online via the audio tours directory below. Audio players on the building pages let you listen to the recordings. A code snippet provided on the tour pages lets you embed a widget on any webpage (at any website or blog) that includes a small map showing all the sites and a player to listen to all the audio guides. A podcast accessible via iTunes or any similar audio player allows you to download the whole audio guide series.